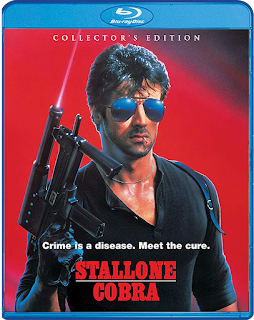 THE B-MOVIE NEWS VAULT: STOCK YOUR VAULT: New DVDs & Blu-rays for 01/22/2019! STOCK YOUR VAULT: New DVDs & Blu-rays for 01/22/2019! January 2019 is wrapping up Vault Dwellers, and overall I'd say that it has been a pretty decent month for DVD & Blu-ray releases! This week offers up a rather light selection of new discs, but there's some definite must-owns on this roster! Unearthed Films brings DIS to DVD & Blu-ray, Warner Archive Collection debuts Eugene Lourie's newly restored THE GIANT BEHEMOTH on Blu-ray disc, Wild Eye Releasing unleashes a new Blu of SHEBORG, and Arrow Video unveils their truly impressive 2-Disc Limited Edition of WATERWORLD that is loaded with extras and has three different cuts of the film! VCI comes out of nowhere and graces us with Blu-ray/DVD combo packs of BLACK SHAMPOO and KISS OF THE TARANTULA, and Scream Factory absolutely kills it with their awesome new Collector's Edition Blu-rays of 10 TO MIDNIGHT and COBRA! Both boast new transfers and loads of cool extras, thus justifying their hefty pricetags! 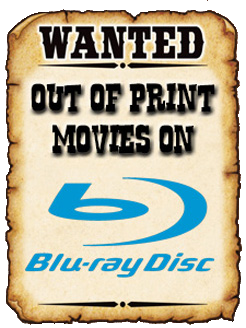 There are other titles of interest on DVD, Blu-ray, and 4K UHD - continue scrolling to see the full list!